imAndystorm.com. Singapore Lifestyle. Travel. Food. 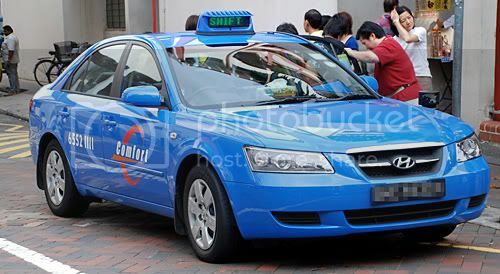 : "Taxi Uncle, why use credit card you not happy ah?" 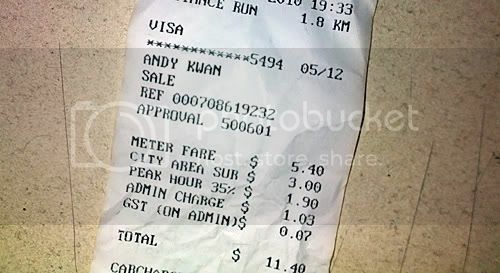 "Taxi Uncle, why use credit card you not happy ah?" It's like, Hello? We queue up so long just to get a cab, now that we are paying still have to see your black face! It's not like we are not paying right? What's wrong??? You openly stated that you ACCEPT credit cards and Nets leh. See this chart above? It's taken from their official website. What we DO NOT know is that, whenever we pay by nets or credit card, the drivers DO NOT get the cash. I repeat, DO NOT. According to reliable sources, whenever someone pay by nets or credit card, the amount will go straight to the company, which will be used to offset their car rental! So they don't get the cash. P.s: Actually so what if they don't get the cash ah? At the end of the day, offset the car rental, it's still the same what right? I still find those grumpy uncles irritating.